Day two of NYFW started with a morning photoshoot featuring this simple look that got dressed up in a big way with a few bold accessories. 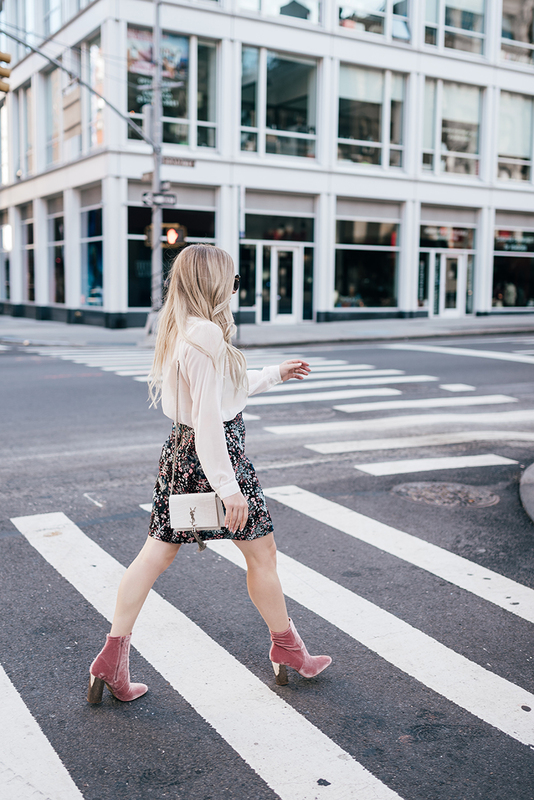 My favourite part of this look is easily these pink velvet booties from Aldo. 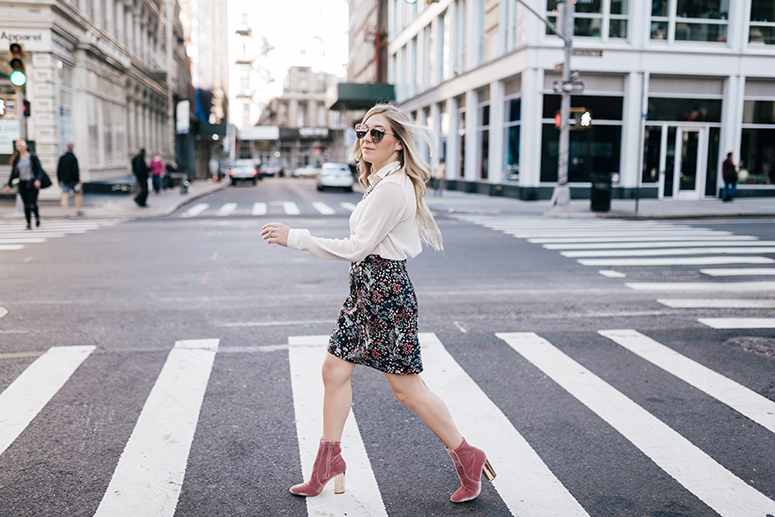 Not only are they completely gorgeous, but the thick block heel saved my feet when I was running across New York attempting to make it to all the fashion shows on my schedule for the day! 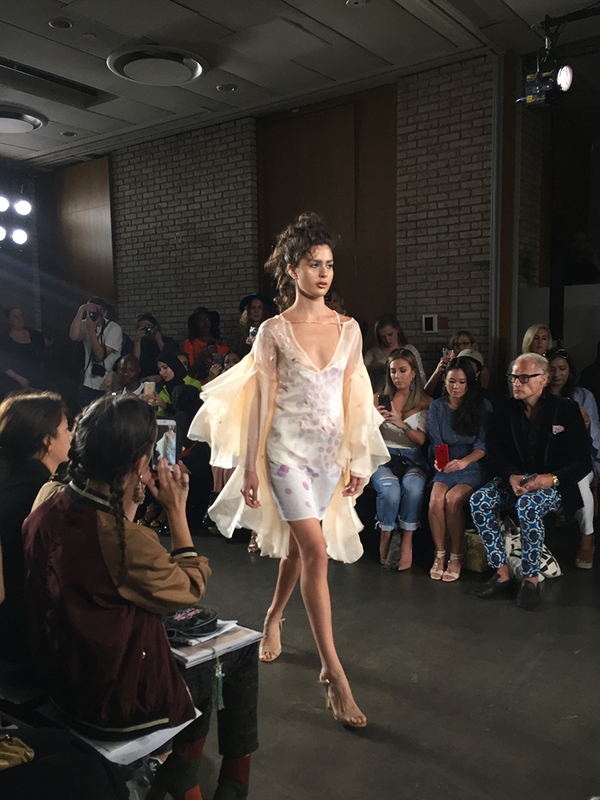 My first fashion show of NYFW was Runa Ray. I loved the beautiful ethereal designs and creamy colour palette. Several looks also featured intricate embroidery, a trend from last year that designers are still loving this season. One of my favourite looks was probably a pair of emerald green high waisted pants. The colour was incredible and so perfect for any season. After the Runa Ray show I only had 15 minutes to get to the Banana Republic presentation. Trying to find an Uber or a cab amongst the hundreds of people exiting the previous fashion show proved impossible. So I decided to take things into my own hands and walk as fast as possible across NYC to try and get to the Banana Republic show before it started. Luckily I made it into the show on time, but just barely (there’s a whole other story here, but I’ll save you the details). Unlike the other fashion shows I attended that week, the Banana Republic presentation which featured Olivia Palermo’s new capsule collection took place inside their actual store. Unfortunately, this meant there was no seating and with everyone crowded in, it was almost impossible to see any of the models as they walked by, never mind snap a decent photo. Of course being only 5’1 didn’t help the situation either… #ShortPeopleProblems! 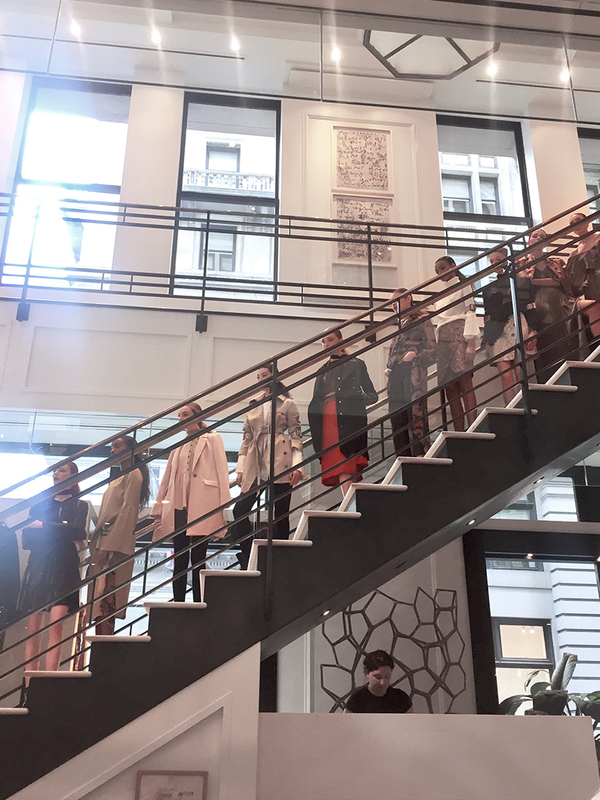 After the show, the models lined up along the staircase at the front of the store and from what little I could see, I really did like most of the pieces. There were several beautifully designed coats, including a very pretty blush pink top coat and a long military style coat in a bold red hue. Both of these looks are now available on the Banana Republic website if you want to take a peek at the collection yourself. After the Banana Republic show, I grabbed an Uber to attend the afterparty for the Rebecca Minkoff fashion show. While I didn’t attend the show itself, the afterparty was the perfect way to relax between events. 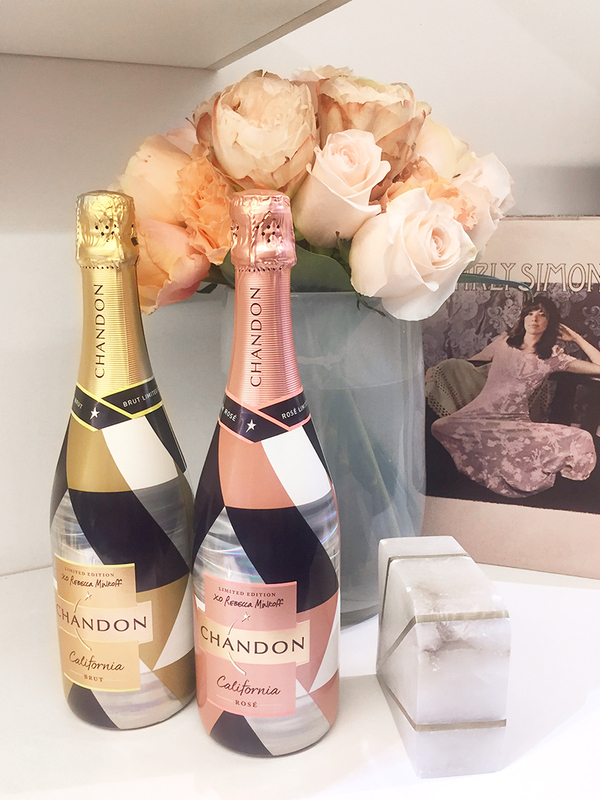 The Soho store looked beautiful for the party, with pretty floral arrangements and bottles of the Rebecca Minkoff limited edition rosé displayed amongst the merchandise. My last fashion show for the day was Mac Duggal. The show took place inside an old church that was lit up with colourful uplighting and pumping with loud music. The historic venue allowed for viewing of the show from the upper balcony which made for a very unique perspective for the fashion show. The show also included several plus sized models which was wonderful to see. 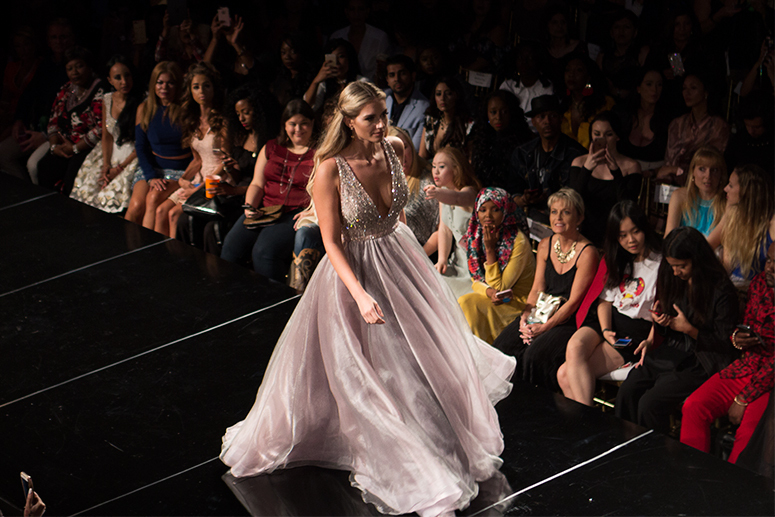 Every time designers choose to be more inclusive with their choice of models, it is a small step towards creating a definition of beauty that embraces the unique difference of women. Are you enjoying my NYFW stories so far? Let me know in the comments below! I’ll be sharing recaps of a few more of my favourite shows (and of course more outfit photos!) later this week. Thanks for reading! 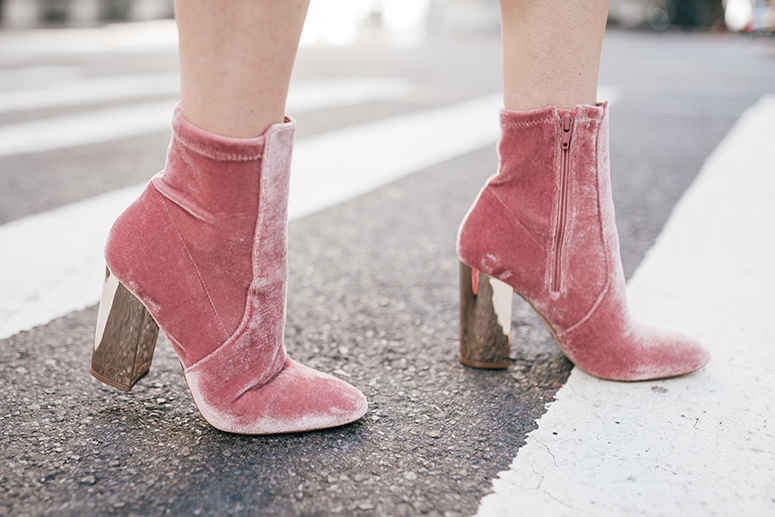 Outfit Details: Aldo pink velvet booties. 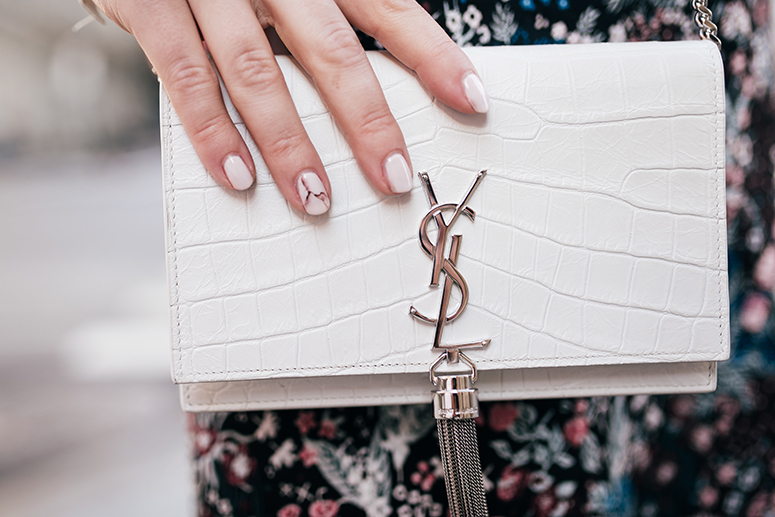 YSL Kate monogram bag. Pink mirrored sunglasses. 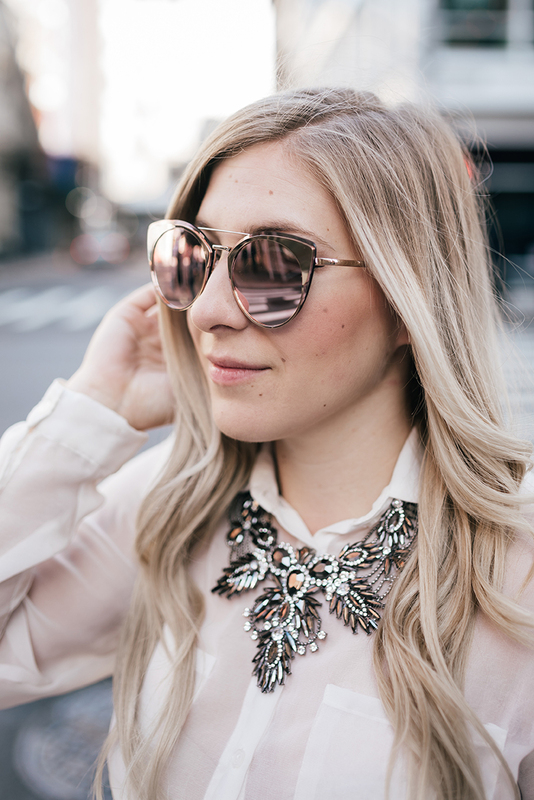 Pretty Little Details statement necklace. White sheer blouse (similar here & here). Floral embroidered skirt (similar here & here). love your recap (and your outfit! 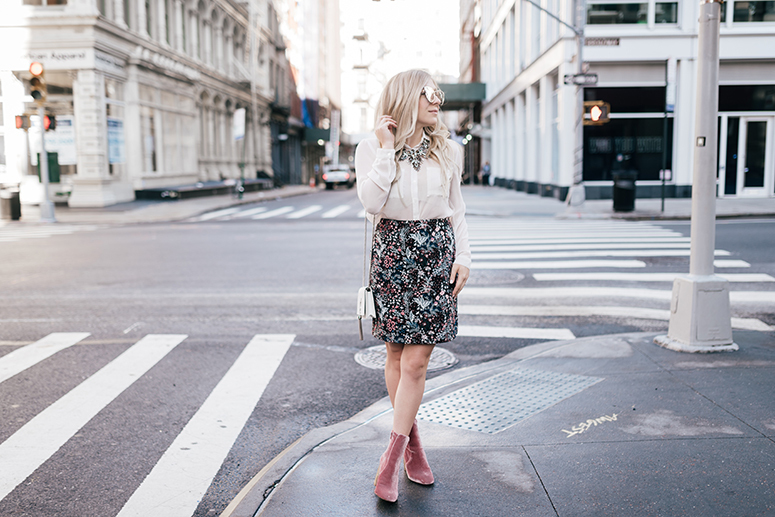 those boots are so fun) – I’ve never been to NYFW but I love getting a glimpse into it through your posts! um BUYING THOSE BOOTIES NOW! YES PLEASE! I love them lady! So cute and glad you shared them! love your look!! those booties are amazing! Those pink booties and accessories really make this outfit! Perfect for a day of shows at NYFW. those velvet booties are perfection!! I was watching it all online but it sounds so fun!! We went to a few of the same shows! Love your booties! Ok, those booties are amazing! Beautiful look for NYFW! It was so great to meet you at NYFW!! This outfit was even more stunning in person! Loved those booties so much too!